It is said that diamonds are every girl’s best friend. Today, both men and women have a special corner for diamonds in their heart. Gone were the days when only women used to get diamonds from men or their loved ones. Nowadays, men’s also have different preferences when it comes to diamonds. Purchasing diamond jewelry may seem to be an exciting and fun-loving task. In reality, it is not lesser than a daunting task, especially for those who do not have any knowledge about it. Not every one of us knows everything about diamonds. In today’s contemporary era, people are inclined to online shopping. Many online portals offer diamonds also to prospective customers. Having knowledge about diamonds is essential for those also who do online shopping also. 1. The design is dissimilar, but all the diamonds are the same: Well, this is a common misconception that is believed by a larger chunk of the world’s population. This misconception will surely hurt diamond lovers and knowers. If you also think that all diamonds are of the same value that ranges up and down as the diamond’s size varies, then you are wrong. It is untrue. Diversified diamonds have dissimilar cuts, clarity, carat, and even color also. Every diamond’s value as per these fundamentals. Lack of information can put you in jeopardy as it can mislead you. 2. Going to only one store: If you have stepped out in search of a diamond that you always wish to have, then it is advisable to visit more than 5-6 stores. Doing this will let you explore a different array of diamonds. You will get to know about the specifications of every diamond. Not just this, you will also find discounts and deals that are going on every store. Eventually, you will be able to decide a store from where you would like to shop for diamonds and other jewelry as well. 3. Not pay attention to the size of a diamond: Many of us know that as the diamond’s size goes bigger or lesser, its value will also fluctuate. Small cut our diamonds possess lesser value than bigger ones. It is possible that you may find two diamonds of equal sizes but weigh differently. There, it becomes really important to pay attention to. Diamonds can be devious! 4. A rarity of diamond jewelry: As a purchaser, you require to pay attention more on the beauty and fire of the diamond rather than its rarity. If you have a definite budget, then it is advisable not to pay attention to the rarity of the piece by ignoring its beauty. 5. Budget: Always stick to a budget if you want to prevent over-spending. You would not like to buy a diamond at the price of your financial stability. Make a definite budget and buy a diamond within it. Having no budget in mind is similar to following an aimless path. Whether you are buying it to give someone or for an investment purpose, make sure to have a budget. Over-spending will surely make a dent in your bank account. 6. Un-insured diamond: It is not a piece of news that diamonds are precious. Losing it will not just give you mental stress, but also financial trouble. Losing even a single piece can even cause you big damage. Always get insurance of your diamonds at the time of purchase. 7. Rushing through it: It is really necessary to do prior research before stepping out to buy jewelry. You need to go to different stores but along with this you also need to check its quality. Taking a decision in a hurry can put you in jeopardy. 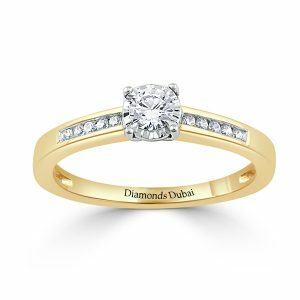 Are you looking for an immaculate engagement ring for your boyfriend? If yes, then many stores offer different types of rings for men’s. Gone were those days when store owners used to offer only a few designs. Today, one can easily get plenty of designs without struggling much. Not just this, nowadays, you can also buy an engagement ring on instalments also. 1. Budget: Set a budget and avoid over-spending. Doing this will help you to find a ring that fits within your budget. As no one would ever wish to struggle with fiscal instability. You want to make your partner happy but not at the price of economic imbalance. 2. Measure his finger’s size: There is no point of buying a ring that doesn’t fit on your boyfriend’s finger. Many engagement rings can be resized, but if you want everything to go as per your plan in the first attempt, then it is necessary to get his finger measured. If you want to give him a surprise, then you ask for his finger’s measurement from his family member or close friend. You never want the ring to be to snug, or worse, fall off. Finding an appropriate size is important. 3. Not knowing about his preferences: Never shop for an engagement ring without finding out your boyfriend’s style and preference. Does he love plain jewelry? Or maybe he has an exclusive taste or has a special corner for a vintage modern ring in his heart? Would he love to have Diamonds in his ring or want gemstones along with the diamonds? He is going to wear the ring for the rest of his life as a symbol of your love and commitment, so make sure that ring you are buying is of his style and taste. If the two of you have never talked about marriage and you have no idea as to what type of ring he will adore, then you can ask a reliable friend or family member. Along with this, you can also keep a tab on his existing style in jewelry to get an idea as to his individual preferences. 4. Shopping all by yourself: Shopping for an engagement ring can literally make you sweat. It requires both mental and physical hardships. You need to visit one store to another in search of an ideal ring. Along with this, you also have to run your mind to choose the best ring for your boyfriend. Make this shopping task a bit easier by seeking assistance. You can ask his mother, sister or friend for advice. You will find many people who will be ready to give advice and share their experience of finding a ring. 5. Not choosing the right setting: After you have found the perfect cut stone, you have to find out what type of setting your boyfriend will adore. Does he wish to have a gold band? Or is he more of a platinum man? And does he wish to have a simple setting or something extravagant? 6. Do not rush: When it comes to choosing the perfect ring, then rushing is strictly not allowed as it can ruin everything. Take your time and conduct research. Do not buy the very first ring you confront. Search both online and offline. If you have decided to buy a ring online, then read reviews and testimonials. If the reviews are good and showing the rock-solid reputation of the store, then feel free to buy a ring from that store. If the reviews are not reaching to your expectation, then feel free to look for another store. You don’t want a snap decision that you will make you regret your entire life. 7. Refund policy: Before purchasing a ring, it is mandatory to always inquire about the return policy. Additionally, you need to read everything in a detailed manner before signing or buying a ring. Majority of the jewelers renders either a 30, 60 or 90-day return policy. Enquire about sizing options and exchanges as well. It is necessary to be ensured that all of your bases are covered before you make a purchase. Ensure that the ring is certified before you purchase it. If it is not, then make sure that you are paying for the right thing. 8. Get the insurance: One of the biggest blunder that many buyers commit is not purchasing insurance for the ring. Even though you take every measure to make sure it is safe, but uncertainty will not knock on your door before entering into your life. You need to ensure that the ring is insured in the instance of theft, loss or damage. Doing this will surely render you peace of mind. Aforementioned are the few important factors that you need to follow before making a purchase. In today’s world, it is not easy to earn money so if you want to use every penny judiciously, then remember the above-written things before buying an engagement ring.